Some phrases have become jargon for lawmakers. 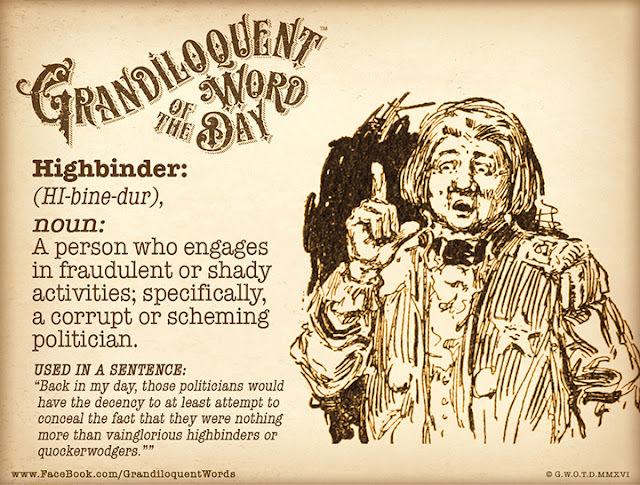 Many have been overused, and in most cases misused, by this category of people. 1. Playing politics – One politician accusing another politician of “playing politics”. If politicians are not playing politics, then what are they supposed to be doing? We expect politicians to, well, play politics and to engage in politicking. That’s their job and that’s the skill they’ve honed. Can we imagine, say, a footballer accusing another of the same act – “he is only playing football.” It’s bizarre when politicians point fingers at their counterparts for playing politics, often with negative connotations, as it amounts to accusing their reflection in the mirror. 2. Serving the people and country – Every politician in any given country says the same thing. They are supposedly only interested in serving the people, the country, religion, race, pets, families and everything they can think of – except themselves! And we are expected to believe that that’s their noble cause and that they don’t have any ulterior ambitions. Yet, they will spend their entire time and resources kicking, back-stabbing, bad-mouthing and clawing their way to the top! Of course, we will duly be told that they can serve the people “better and effectively” the higher they reach, all in the name of the people’s benefit, of course. 3. I will “take note” of the proposal – Which means the politician will do nothing. In fact, if your staff or colleague spouts the same phrase, it only amounts to the person not deserving a pay rise. Lazy bones syndrome? Highly likely! It’s almost an expression of inertness. Amazingly, it has now become the standard “tactical response” used by politicians to answer fellow Members of Parliament on the opposite bench during Question Time. 4. I “will study” the proposal – This gives the above a run for its money. The same disinterested, non-committal reply, aka, “I am doing nothing about it”. This merely amounts to, “We will form a sub-committee/a committee/a task force/action committee to study the matter and a report will be submitted to another committee, which will then deliberate the findings.” In short – nothing happens for a while, or probably in the end, nothing happens at all. 5. “I have been misquoted by the press” – This means the politician has screwed up by putting his foot in his mouth (foot-in-mouth disease? ), and the only way to get out of the mess, is well, to deny having said it all together. And if he did say it, then blame the media for taking it “out of context”. And in their minds, this equals: the media has an ulterior motive; the media is biased; the media has an agenda; the media creates fake news. Well, if the media produces audio or visual evidence to prove the politician’s folly with the said contentious remarks, then the standard operating procedure would likely be “well, I did say it, but I did not mean it THAT way,” or “you did not quite understand what I said”. 6. Fake news – It has frighteningly and sneakily crept its way into Malaysian politics from the United States, President Donald Trump its greatest purveyor. The fake news accusation is a good tactical move to defend illogical/embarrassing situations created by politicians, and used to near perfection by Trump. It is just as handy for scatterbrain politicians. 7. Trust me – When a politician requests this faith, you know you should believe in your own instincts and scurry in the opposite direction. But it has to be the most overused and, consequently, misused phrase by politicians everywhere, perhaps perfected by North Korean leader Kim Jong-un, who doesn’t even have to worry about standing for elections! 8. Dementia – It’s a disease all politicians should contract if they wish to survive long in the merciless business of politics. You are expected to lose your memory of past actions against your opponents, if it means, you are now required to swallow your indignation to forge a new political partnership. “What? I took action against you? Did I? It can’t be, it’s someone else who did it. Not me. If I did, well, I hope to pardon you soon.” Sound familiar? 9. The opposition is only interested in toppling us – Well, that’s exactly their job scope, isn’t it ... to take over from the present administration? If they are not interested in toppling existing governments, then aren’t they wasting their time in the opposite side of the camp? 10. There are no permanent enemies, only common interests – In Malaysia, our politicians have turned this into a near artform, hopping in and out of bed so much so voters end up losing track of the number of strange bedfellows. Let’s not even get into the pillows and strange dreams, or nightmares that have been created for getting in the same sack. One day, a party is accusing another of being an “infidel”, and the next, it is actually working with “infidels”. Almost predictably, after that, it is seen to be friendly with the same party that it has been crossing swords with for decades. Meanwhile, divorces are announced for the break up with the infidels, yet, the desire to stay in the same house remains, because, well, the rakyat needs to be served. That’s not all, and this one is even more incredulous – a leader once threw his opponents into the slammer for all kinds of offences, ranging from threatening internal security to sexual perversion, but in the very next instance, touted his once greatest enemy as the leader-in-waiting and probably gave him a BFF status on his FB. Of course, our voters are expected to subscribe to all of this and believe it’s for their own good. Yes, right to comment on Perkasa Chief Ibrahim Ali, selective non-prosecution by A-G! Service first, don't waste energy and resources in unproductive ways !